One Loupe is a tiny 22 Kilobyte software that can magnify parts of the screen upon execution. The program is fully portable and requires no installation on the system. Magnifying the screen can be a good choice if the text, images or other elements are to small to be identified properly. If you ever tried to solve the Rapidshare captcha you know what I mean. The most important feature of a magnifier is accessibility and that's an area where One Loupe unfortunately fails. It can only be executed by clicking on the program icon. The only other way that I could think of to make it more accessible was to create a shortcut to the program and assign a keyboard shortcut to it. It's not that of a problem though. Once executed a rectangle will be shown that can be moved with the mouse. The mouse-wheel increases or decreases the zoom range and the arrow keys change the size of it. 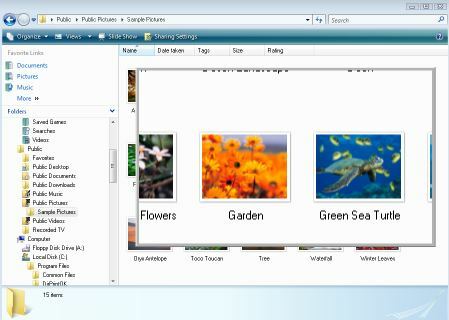 One additional feature is the ability to copy the part of the screen that is shown in the magnifier to the clipboard. That's an excellent way to create screenshots for articles like this one. Rapidshare capatcha has been cracked again, go check out raymond’s post about it or just download cryptload. On a side note doesn’t the windows magnifier work? How do you copy to clipboard? The keyboard control C function doesn’t do it.